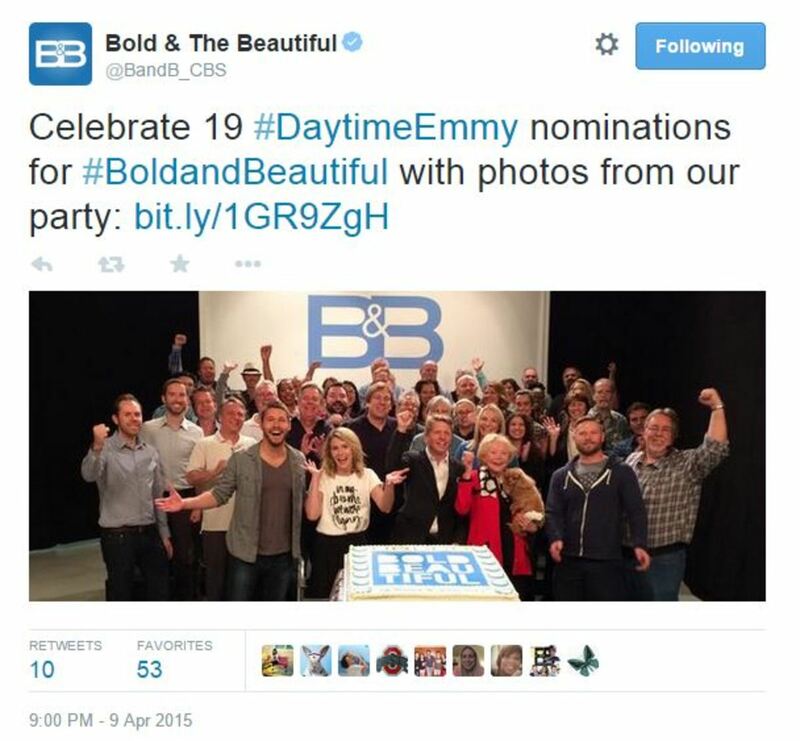 Cast and crew of The Bold and the Beautiful celebrated the soap&apos;s 19 Daytime Emmy nominations at Stage 31 on April 10. 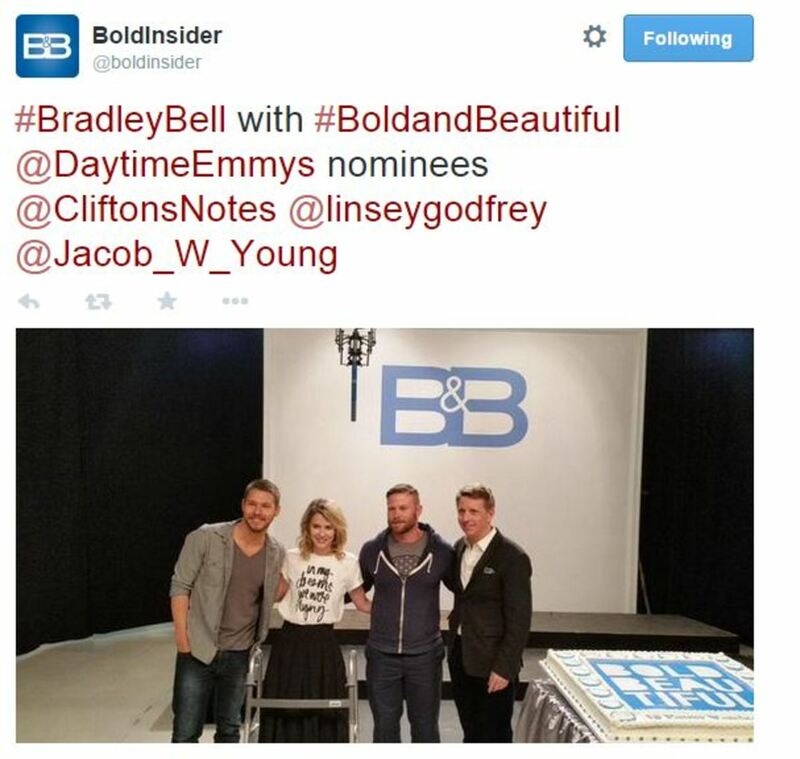 Supporting Actor nominees Scott Clifton and Jacob Young were joined by Supporting Actress nominee Linsey Godfrey, the latter of whom has been recovering from being hit by a car in a freak accident. 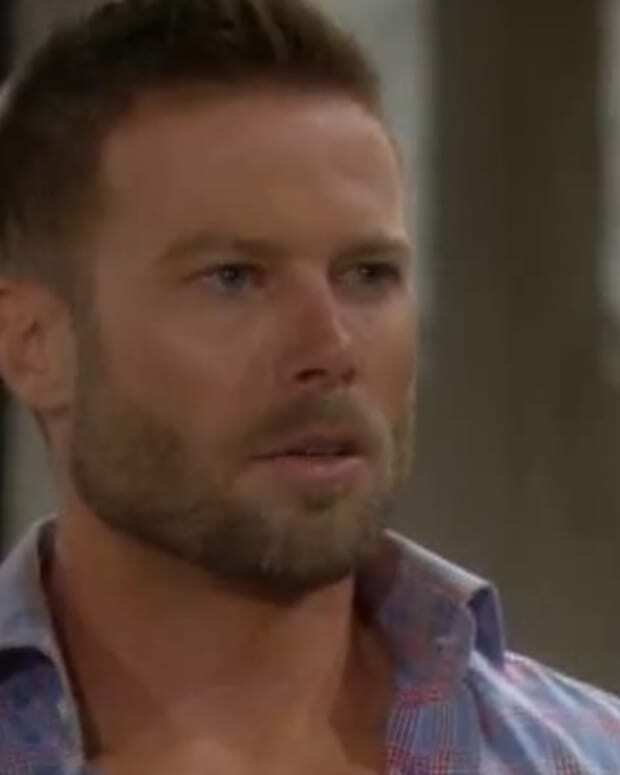 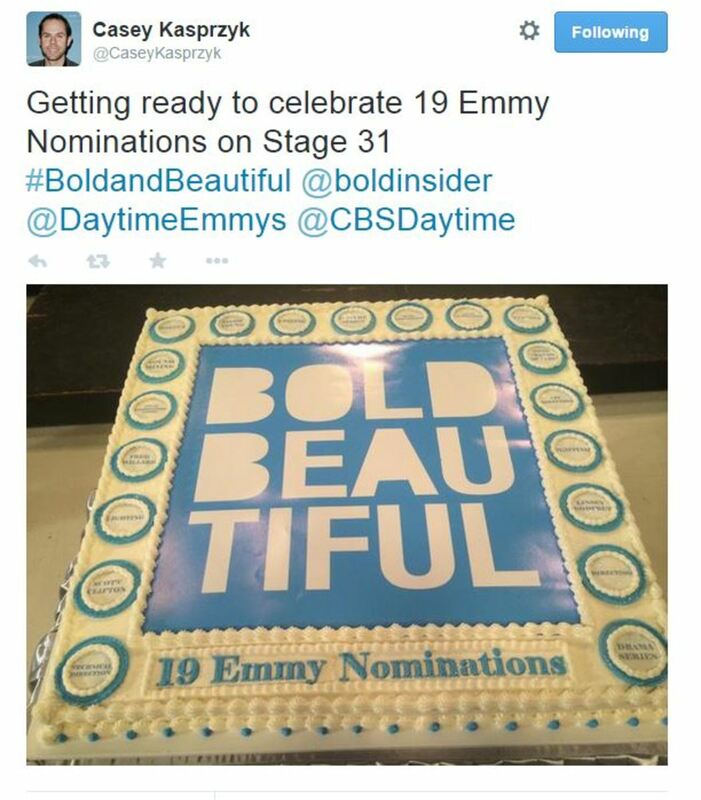 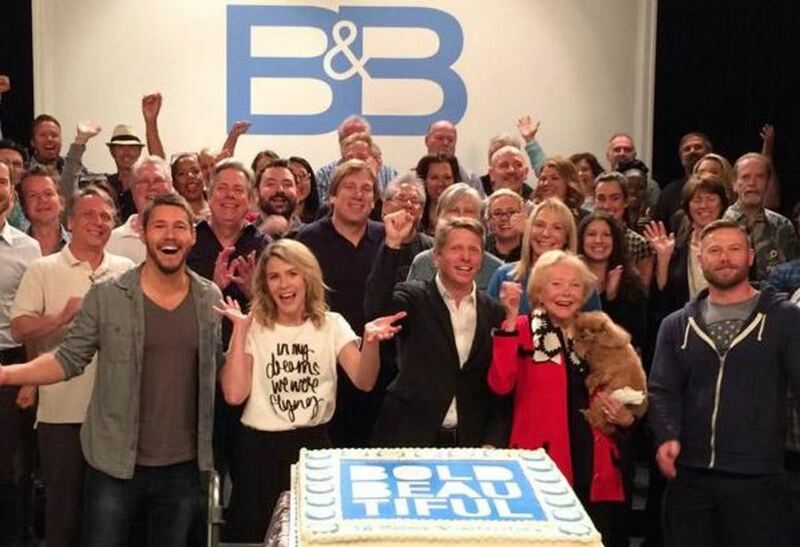 The Bold and the Beautiful Supervising Producer Casey Kasprzyk tweeted a picture of the celebratory cake, while the soap&apos;s Twitter profiles tweeted more pictures from the event. 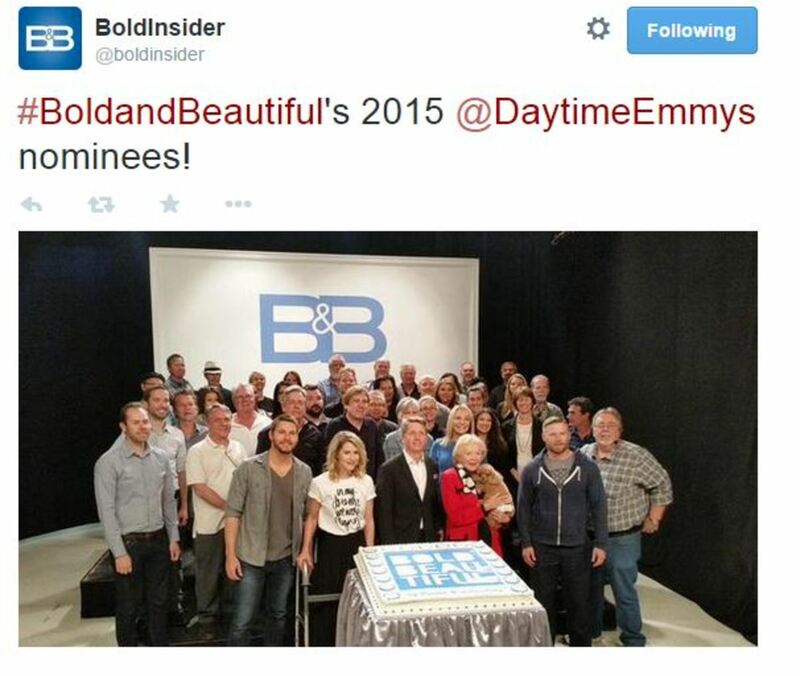 Follow Casey Kasprzyk, Bold Insider and The Bold and the Beautiful on Twitter.